This mini course is designed for you to go through step by step. In order to get the most from this training please do not jump ahead without completing the actions in front of you. Once you complete the weekly assignments, then and only then should you progress. If you failed to take action on week # 1. Please go back now and do not move forward. 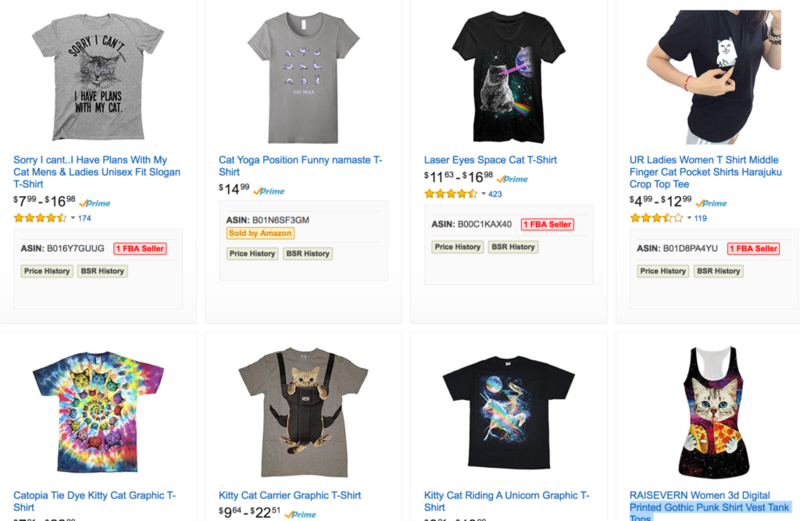 Now that you’ve decided your niche and or what type of Shopify store you will open – It’s time to spend some time researching the top selling designs that are already selling in your niche. At this stage in the process I highly discourage you from trying to reinvent the wheel. Research designs that are already selling well within your niche and have your designer improve upon them and or change a few things to make the design unique in some form. Let me be clear, DO NOT copy these designs 100%. 3.) 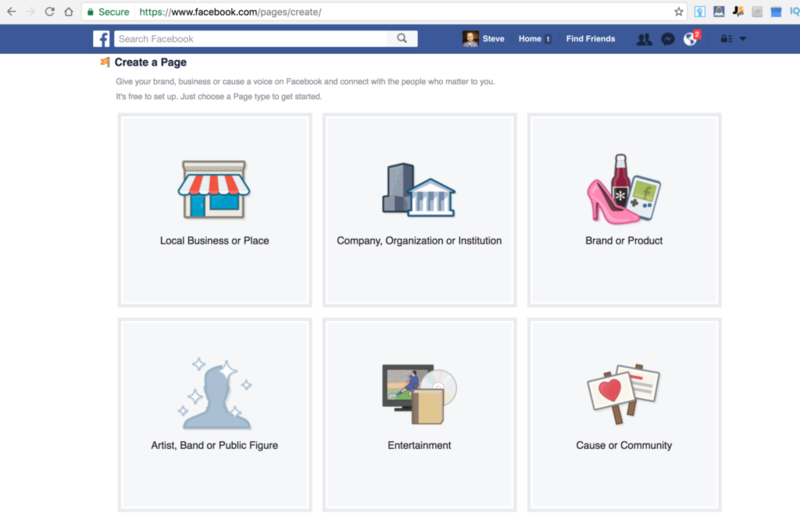 Facebook – Use the search function to find designs in your niche. For example if you are starting a dog store search for things like ” I love dogs T shirt ” , ” Dog T Shirt ” , ” Funny Dog Shirt ” and the list goes on and on. To go a step further – you can also research popular fan pages within your niche on Facebook and see what designs they are promoting. Many of these popular fan pages will be selling print on demand apparel. 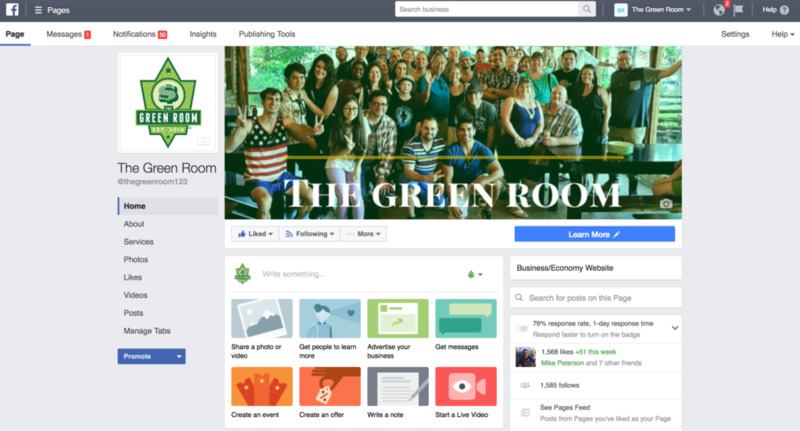 Look to see what posts are getting the most likes, comments, and overall engagement. These will be the designs you will want to focus on replicating. 4.) Google – use google to find competitors stores. Take a look at what they are selling and gather ideas this way. 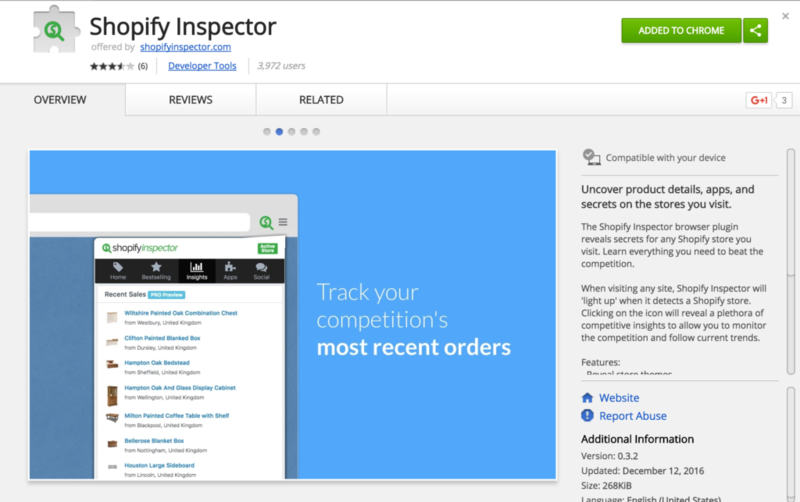 In addition, download the chrome extension called Shopify inspector. 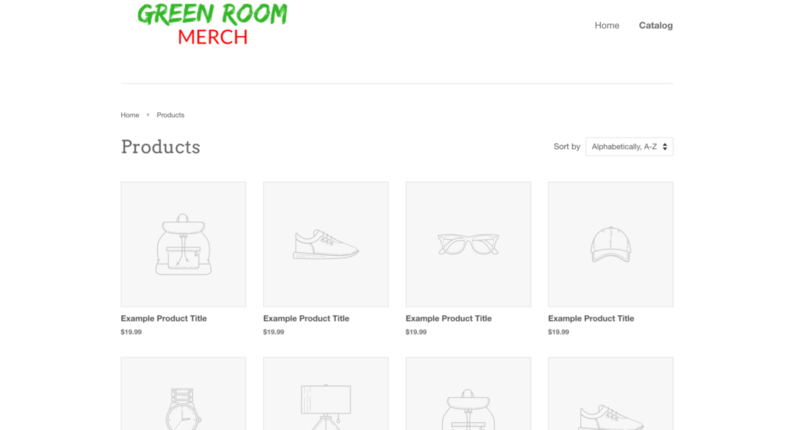 Use this chrome extension to then browse their store to see what’s selling best. See the pictures below. 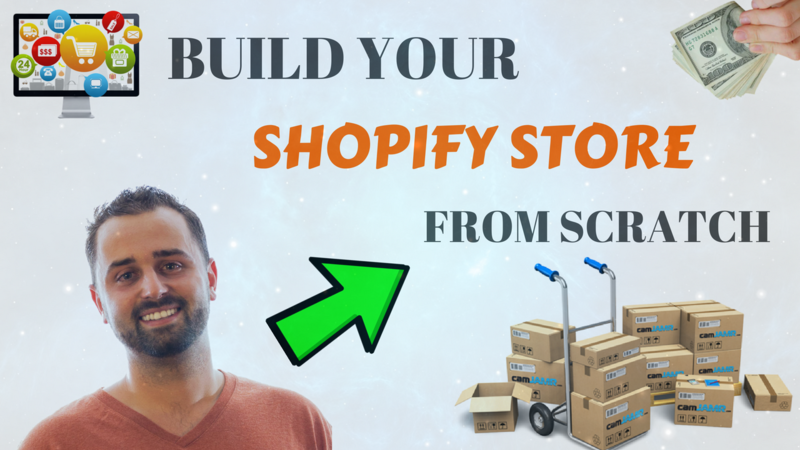 Note – the Shopify inspector will only work if the website was built on Shopify. If it was the Shopify symbol for the google chrome extension will glow up. 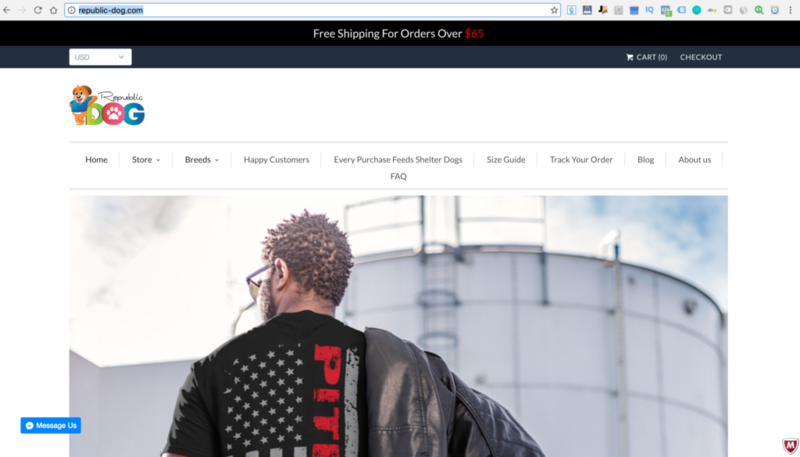 The picture below is of a Shopify store that is selling custom print on demand apparel in the dog niche. The picture below is showing how I use the Shopify inspector to search for the best selling items within a store. 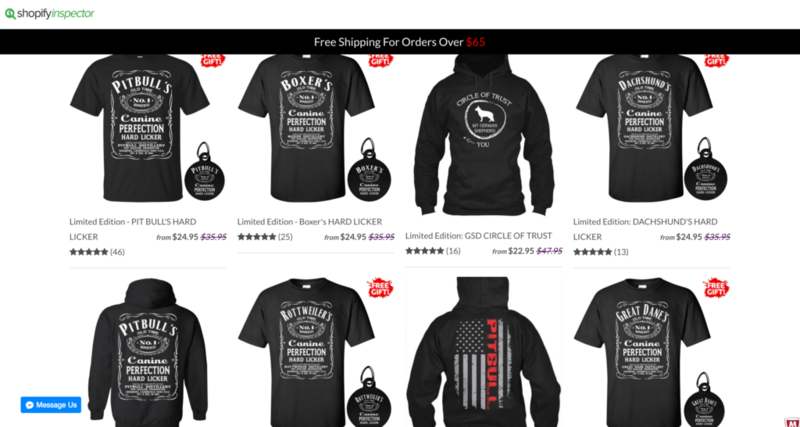 The picture below is showing the best selling designs within the store. This is why I LOVE the shopify inspector. Great for generating ideas that are already selling. 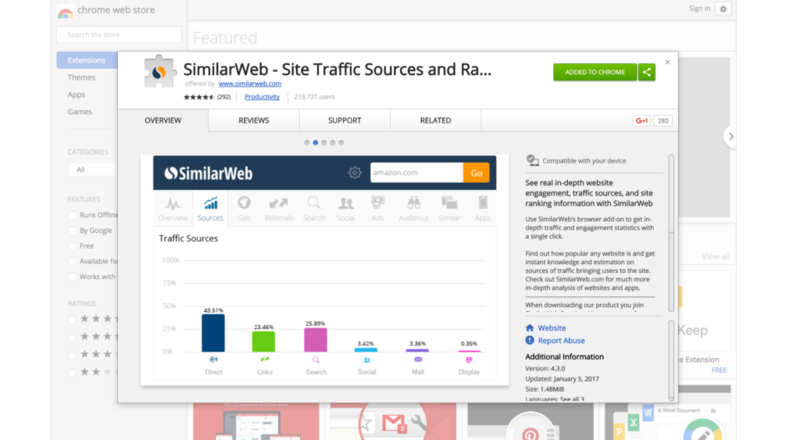 In addition, be sure to download the Similiarweb google chrome extention as well. This will share with you how much traffic the website is getting per month. The higher the traffic the better chance the designs are selling a lot. Now that you’ve hopefully already chosen your best selling apparel designs for your Shopify store it’s now time to get graphics created for the rest of our store. Below I will share with you images from my store. We will break this section down into 3 parts. 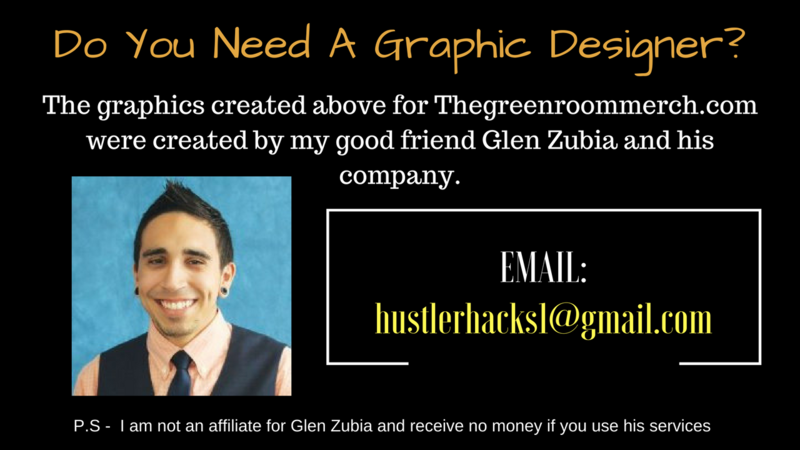 For the time being ( due to time restrictions ) I decided to create all of my graphics using a free software called Canva. As you can see I’m not a very talented graphic designer. For the time being I will use these graphics but in the near future I will get my graphic designer to create some more professional graphics for me! 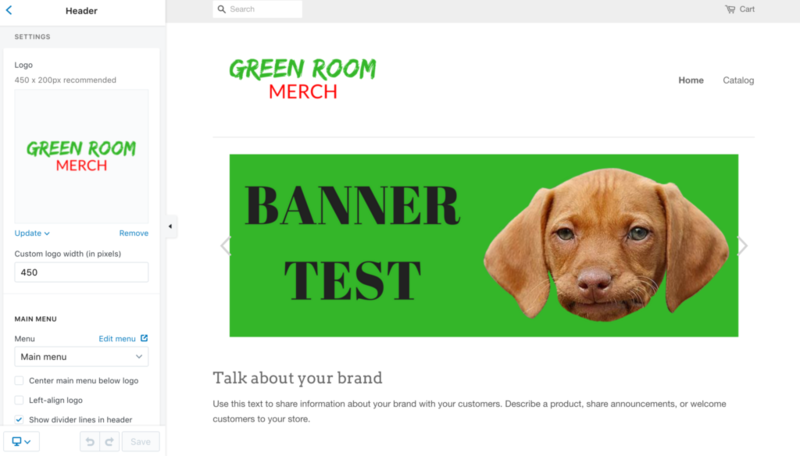 The goal of the banner graphic is to catch the attention of your customers by intriguing them with your products & services or to communicate something to them that may incentivize them to shop around your store. An example of an incentive that may interest your potential customer is a free shipping offer. Many sellers will offer free shipping on orders over $75 to $100. I tried my best to create a graphic for the banner but failed miserably. 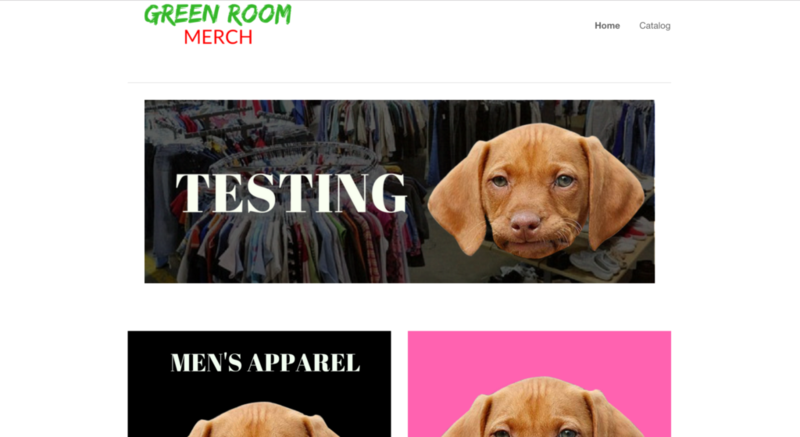 Until then, I will put up my cute testing dog banner and shoot over my graphic designer a message to make me one. The graphics below are both size 800 x 800. 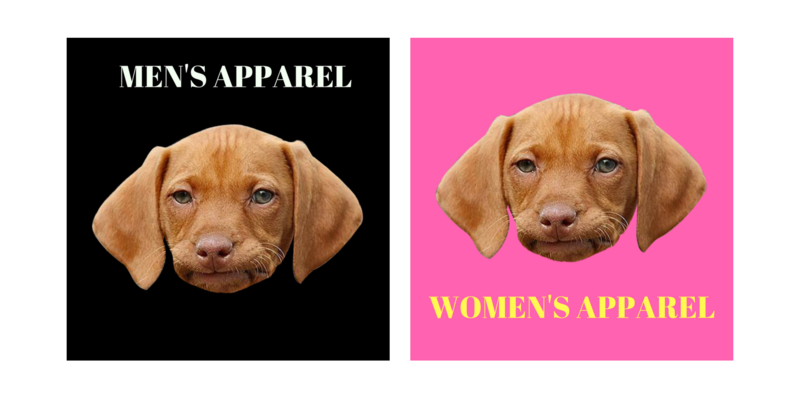 As you can see I have my cute dog graphic in replace of what I will actually use. I tried my best to make my own graphics but they came out horrible. I will update you in the near future when my actual designs are delivered. The goal of the two graphics ( each 800 x 800 ) is to give my customers another option ( besides the menu – will touch on this later ) to search through. 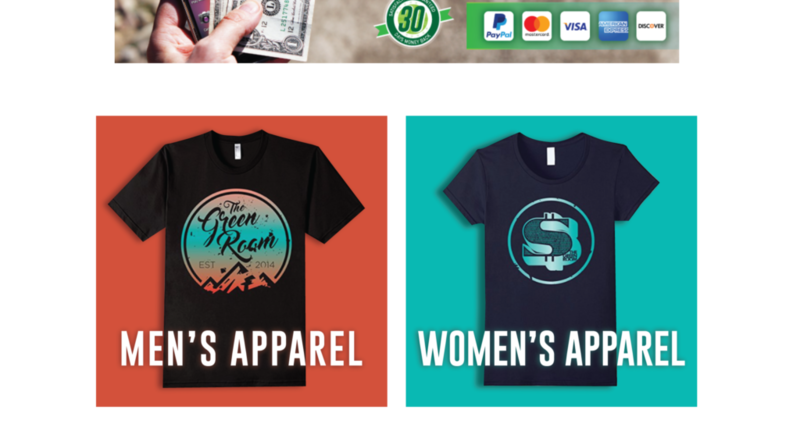 Inside Thegreenroommerch.com we will be selling women’s or men’s clothing. For some of you this may not be necessary. If you are only going to be selling a single gender you can replace the graphic with something else. Later on I”ll make a video diving into customization more in depth. For now just follow what I am doing to get your store launched! UPDATE - GOT NEW GRAPHICS BACK FROM DESIGNER! 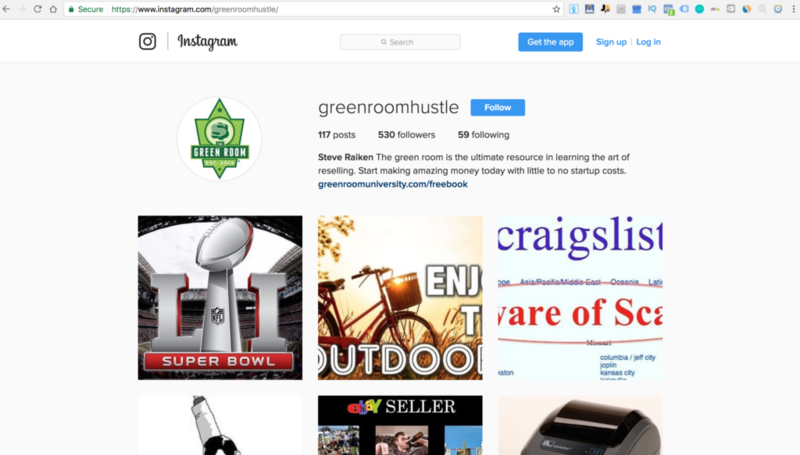 For TheGreenRoomMerch.com we are going to focus primarily on building our social media presence with Facebook and Instagram marketing. Now as I said at the beginning of this course we aren’t going to dive into the marketing portion very much but I did want to at least get you set up. It’s important to build a presence on social media for a number of reasons. Go to https://www.facebook.com/pages/create/ and create your fan page. 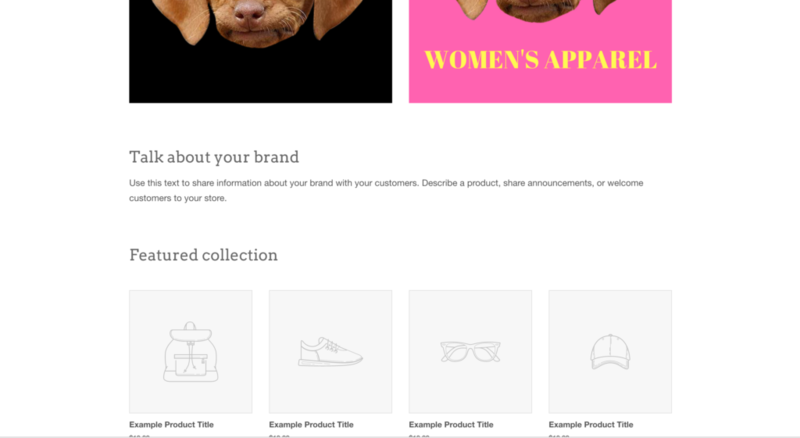 Choose Brand or Product for the type of page. Next, go over to Instagram.com and sign up for your account. Here’s the account we created. The goal here is create a professional email. Instead of having an email such as cutedoglover@gmail.com it could be something like support@cutedoglover.com. Do you see the difference? The second one looks more professional and less like a random person posing as a business person online! We’ve got to fake it till we make it, right? 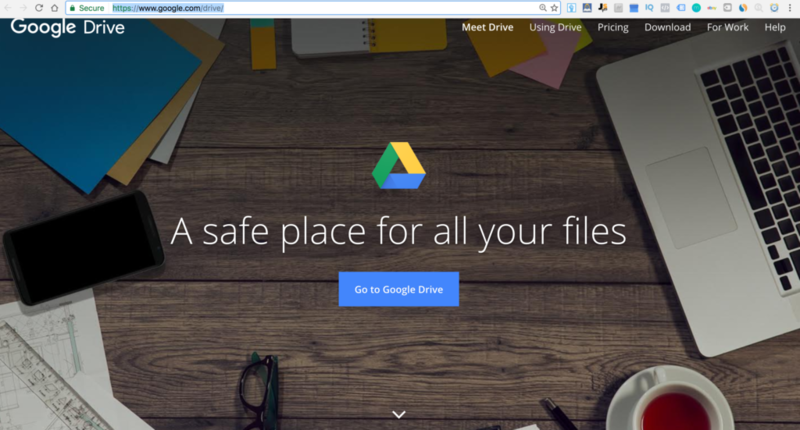 Now that you have your gmail suites all set up I would recommend setting up a google drive. The thing I love most about Google Drive is that it makes it super easy to keep things organized. What do I use my Google Drive for? 5. ) Anything else related to the business. All in all once you create the google drive you will want to create a folder. Inside that folder you can organize it into all the appropriate folders I mentioned above. Then inside each folder you can create docs, spreadseets, etc to keep things smooth. Do this now so everything is all in one place!